JumpStart Complete. The JumpStart Complete pack contains one box of Super Trio, one SmartMeal Vanilla, one SmartMeal Chai (15 servings each), one box of Solstic Energy (30 stick packets) and a Wild Berry CleanStart cleanse/detox program. 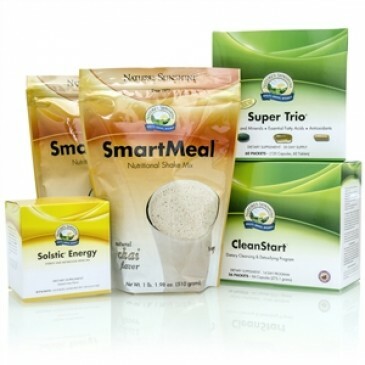 It's the most comprehensive JumpStart pack we offer: cleansing, core nutrition (vitamins, minerals, antioxidants, EFAs), weight management meal replacement, and energy drinks.